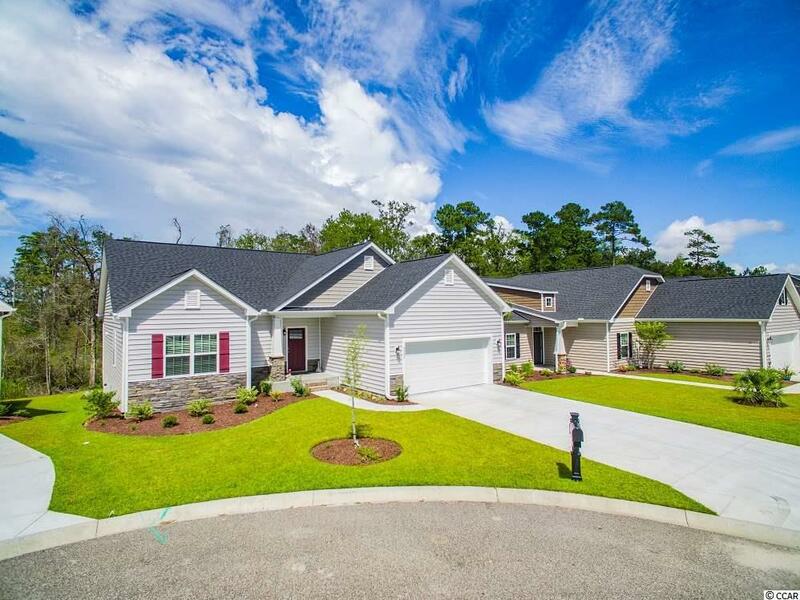 Clear Pond is a natural gas community located close to everything in Carolina Forest and Myrtle Beach. Quietly nestled just a few minutes from shopping, dining, and the Atlantic Ocean. 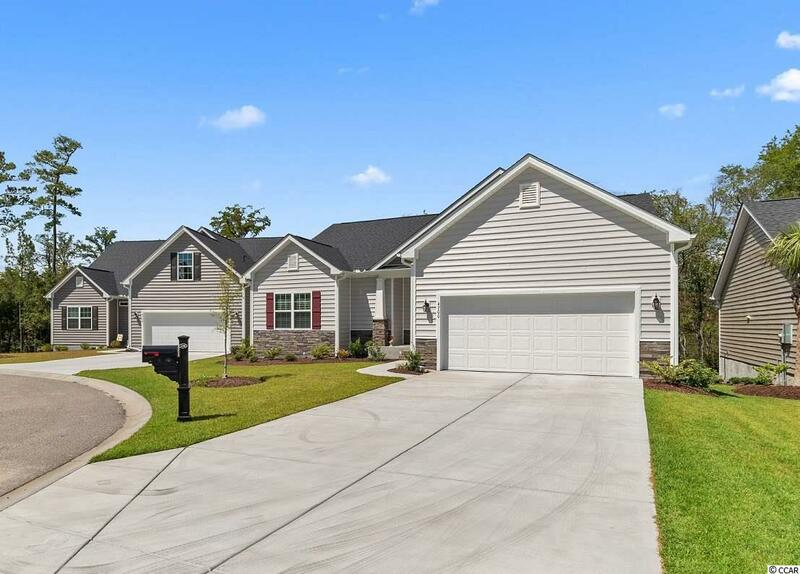 This amazing Hawthorn floorplan by RS Parker is one of the last built in the community, offering a cul-de-sac location with the serenity and privacy of wetlands behind the home. The one-story construction offers 3 bedrooms and two bathrooms, with a screened in porch to enjoy the peaceful view. The extended rear porch offers storage underneath- so you'll have extra space for a grill, lawn equipment, and more. The yard is beautifully landscaped, with an irrigation system and whole house gutters. As you enter the home you are greeted with amazing lighting and views. 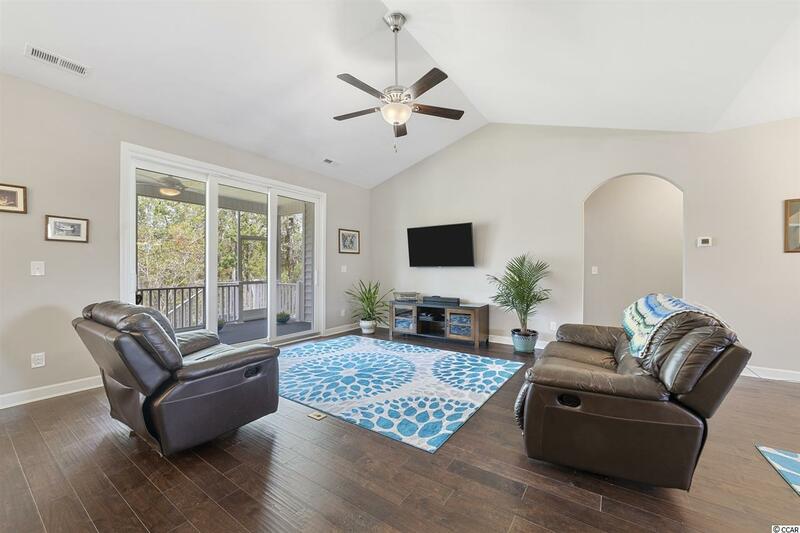 Hardwood floors run through the foyer, great room, and kitchen- all main areas of this open floorplan. The vaulted ceilings add to the grandeur, with a 3 panel sliding rear door offering ample natural lighting. Upgrades such as ceiling fans and crown molding are just a few of the details added to this home. The eat-in kitchen has raised granite counters, upgraded cabinets with glaze and crown molding, a custom back-splash, and pendant lighting. Enjoy stainless appliances including the gas range and a large pantry. 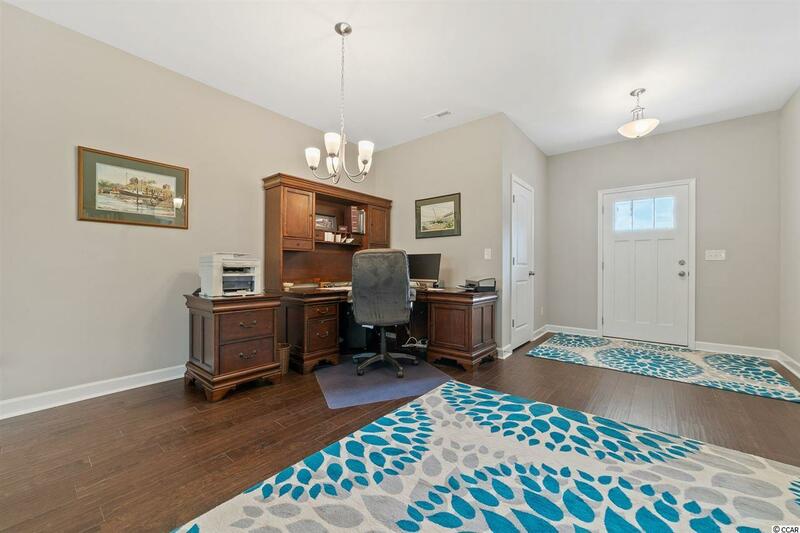 The master bedroom has tall tray ceiling, ceiling fan, a large walk-in closet. A custom window was added to the master bath to improve lighting, with a custom tiled shower with bench seat. In this natural gas community, you can enjoy endless hot water from your tankless water heater! The large guest bedrooms are on their own hallway, giving privacy and comfort to both owner and guest! Don't forget to visit the amazing amenities center in Clear Pond, with full gym and two pools, a running track, and more!